The workers were hired for the construction of a bridge in the area of Turbat in Pakistan's Balochistan province. Militants opened indiscriminate fire at the construction workers while they were asleep. 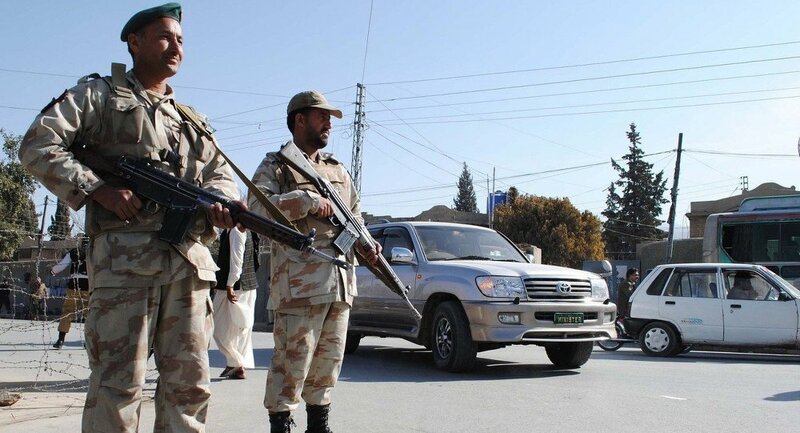 MOSCOW (Sputnik) — Militants killed 20 workers and wounded three in the western city of Turbat in Pakistan's Balochistan province, the Dawn newspaper reported Saturday. District Police Officer Imran Qureshi was quoted as saying by the newspaper that militants opened indiscriminate fire at the construction workers while they were asleep. Those injured were delivered to District Headquarter Hospital. According to Qureshi, the workers were hired for the construction of a bridge in the area. The militants are said to have arrived on motorcycles. The Pakistani government reportedly announced financial compensation to the families of the victims of the attack. According to the newspaper, the killings of workers have occurred in Balochistan repeatedly. In October 2014, eight workers were kidnapped and killed in the province, with their bodies subsequently dumped in the mountains.